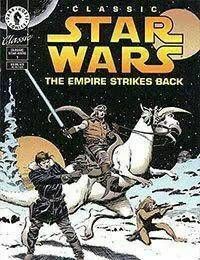 OverviewThe best Star Wars comics creative team to ever put pen to paper, Archie Goodwin and Al Williamson, unite once again to adapt the second Star Wars movie to comic form. This first of two volumes brings the Marvel Comics adaptation of The Empire Strikes Backback into print for the first time since 1980. Al Williamsons classic art is supplemented by brand-new interior coloring, as well as a new cover by Williamson commissioned especially for this volume.